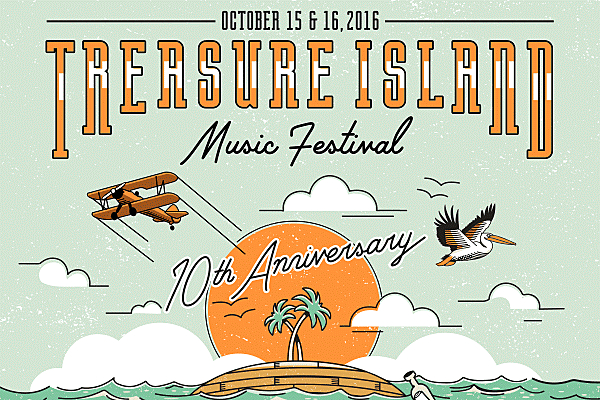 San Francisco’s Treasure Island Music Festival celebrates its 10th year in 2016 and will happen October 15 & 16. This year’s lineup includes Sigur Rós, Ice Cube, James Blake, Purity Ring, Tycho, Mac Demarco, Young Thug, Sylvan Esso, Neon Indian, Wild Nothing, Deafheaven, Kelela, How To Dress Well, Hinds, Car Seat Headrest, and more. All announced performers are listed below. Tickets for the 2016 Treasure Island Music Fest go on sale Thursday, June 16 at 10 AM Pacific (1 PM Eastern). This will be the last year the fest will actually be on Treasure Island, but organizers say it will return in a different Bay Area location.